A sister and brother were presented with the highest awards given by the Girl and Boy Scouts of America at a joint ceremony held at their home parish, St. Michael’s Church in Overlea on December 5th. Elizabeth and Jacob Kempske, residents of Perry Hall, received the Gold and Eagle Scout awards, considered among the highest honors granted by the scouting organizations and received by fewer than four percent of all scouts. A service project is a core requirement of both the Gold and Eagle Scout awards. Both Elizabeth and Jacob committed their service projects to benefit The Highlands School, which serves children in K-8 with learning differences, based on Elizabeth’s experience with the school. When Elizabeth was seven, she was diagnosed with dyslexia and attended The Highlands School for two-and-a-half years before transitioning back to St. Michael’s the Archangel School, where Jacob and younger sister Rebekah were also enrolled. “Elizabeth struggled to fit in. We were turned down by 10-12 other schools to admit Elizabeth. Both The Highlands School and St. Michael the Archangel School opened their arms to our family to help us,” said the siblings’ mother, Linda Kempske. 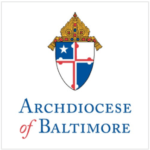 Elizabeth, 18, currently attends The Catholic High School of Baltimore and Jacob, 15, attends Archbishop Curley High School. Elizabeth’s brother Jacob also created a service project to benefit the students of The Highlands School. This past summer, he built an outdoor science classroom and playground area. He removed debris, built a set of benches to accommodate seating for a class and also a “teachers” bench, and mulched the area to provide an outdoor “living” classroom. Additionally, he removed trees and cleaned up a space on campus to provide a play area for the students. Throughout the year, students in the Archdiocese of Baltimore’s Catholic schools participate in numerous and diverse service opportunities. A 2010 study analysis conducted by the Sage Policy Group, found that graduates of Catholic schools are more likely to become socially responsible leaders, in part, because of their volunteer activities and elevated academic achievement.